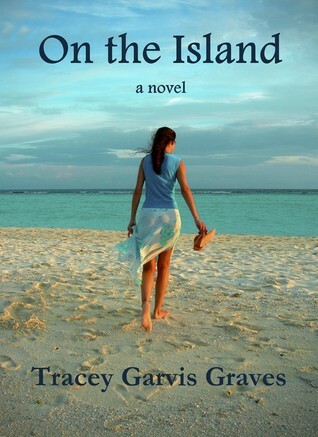 Good Choice Reading: Blog Tour: On The Island by Tracey Garvis-Graves Excerpt & Giveaway! 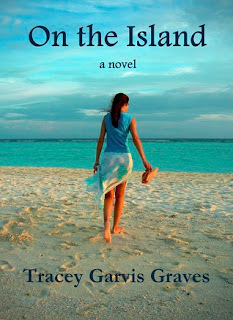 Blog Tour: On The Island by Tracey Garvis-Graves Excerpt & Giveaway! T.J. and I approached the cockpit. Mick had both fists pressed against his chest and his eyes were closed. His headset sat askew and his face had taken on a grayish cast. My heart thundered in my chest and adrenaline flooded my body. We rushed to the storage compartment and rifled through it. Because he’s afraid he might not get us out of the air in time. ”I don’t know, maybe it’s standard operating procedure. We’re landing in the middle of the ocean.” I found the life jackets wedged between a cylinder-shaped container that said LIFE RAFT and several blankets. “Here,” I said, handing one to T.J. and putting mine on. We sat down and fastened our seatbelts, my hands shaking so badly it took me two tries. I gripped the armrests of my seat and watched out the window, the rolling surface of the ocean growing closer. But then instead of slowing we picked up speed, descending at a steep angle. I glanced toward the front of the plane. Mick was slumped over the yoke, not moving. I unbuckled my seat belt and lunged into the aisle. “Anna,” T.J. yelled. The hem of my T-shirt slipped through his grasp. Tracey is giving away a Print copy of On The Island to one lucky visitor. To enter all you have to do is leave a comment on this post. - Giveaway ends March 11th. Sounds like an exciting read. Thanks! Sounds like a fabulous story - and the cover is so beautiful. I want to get lost in that book. Thanks for the chance! Sounds great...it have this on my to read list. Thanks for the giveaway. I love survival stories ever since Robinson Crusoe. Sounds great! Thanks for the giveaway! Sounds like a wonderful story to read! Awesome giveaway! Hope the winner would have a great time reading it! I'm in, I'm in! Great intro to the book! I enjoyed the excerpt. The book sounds very interesting. Not my usual genre but it sounds really good.. definitely adding to my TBR list. Thanks for a great giveaway!! I am trying to switch to the first email even though my blogger acct is with the second. Sounds like a good read. Thanks for the chance. I love that the story takes place on an island. This sounds like a very different and interesting storyline. Thanks for having this giveaway. Sounds really unique and the excerpt definitely had my adrenaline up! Thanks for the giveaway! Wow! You’re quite the yodeler!